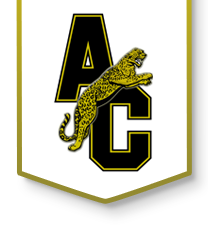 Andover Central High School is a member of the Kansas State High School Activities Association (KSHSAA) as a class 5A member school. The activities association places member schools into classes based on the number of students enrolled in our school on September 20th of each year. Football classifications are determined every other year in order to accommodate a two year schedule. Andover Central High School offers 22 varsity sports as well as numerous junior varsity and freshman teams. Andover Central High School is a member of the 26 team AVCTL. The league consists of four divisions based on enrollment. Click here to watch Jaguar athletic teams live. Click here to view Jaguar athletic schedules.